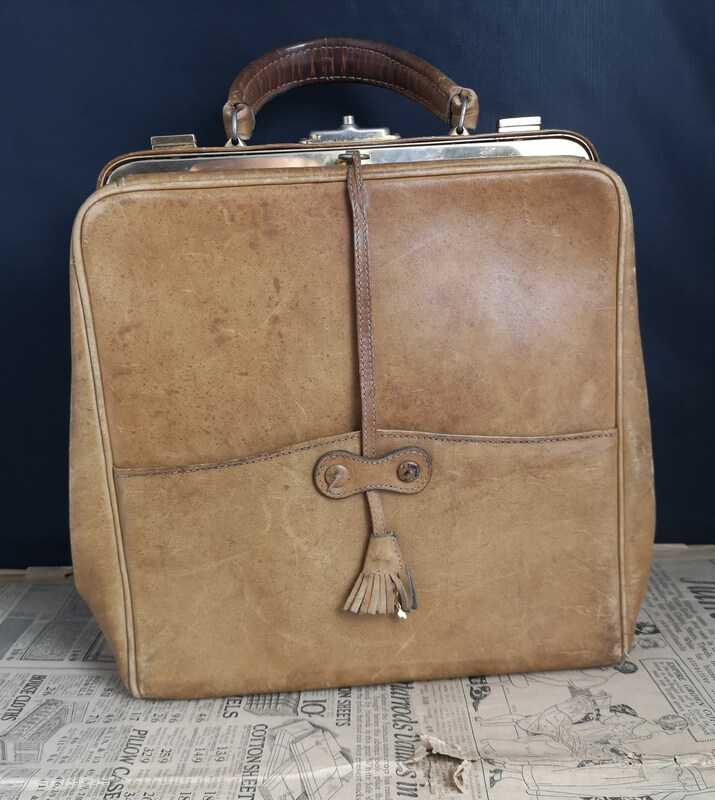 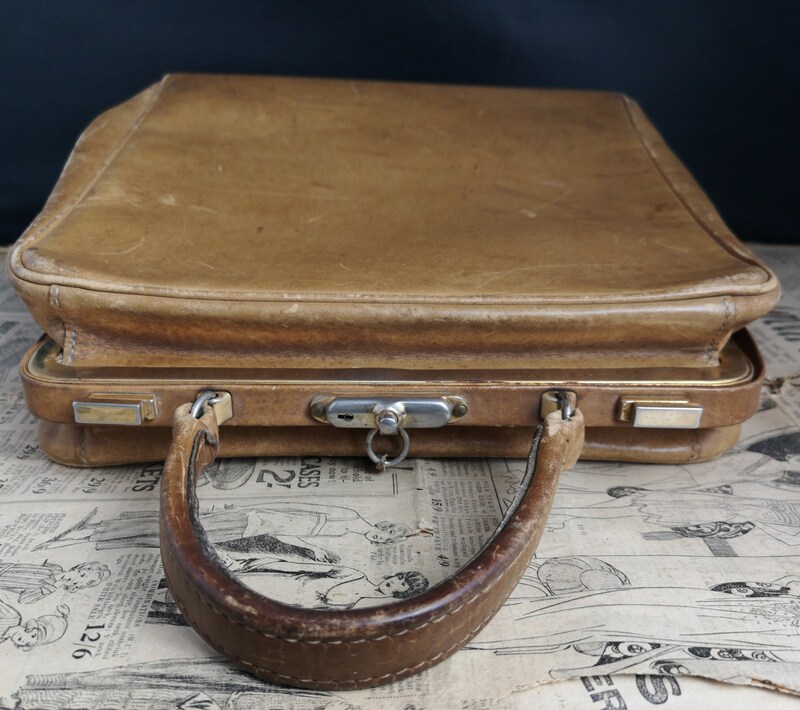 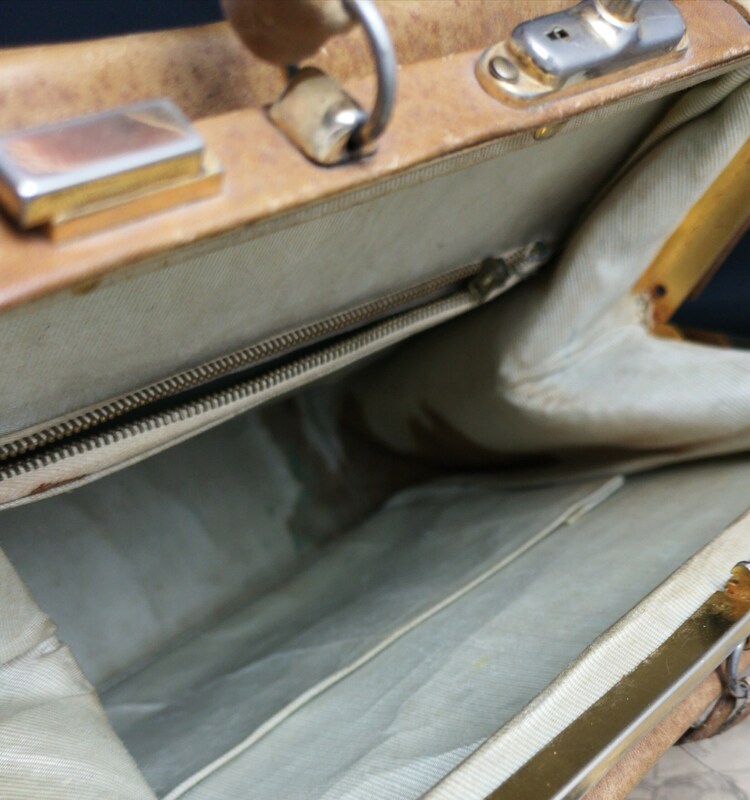 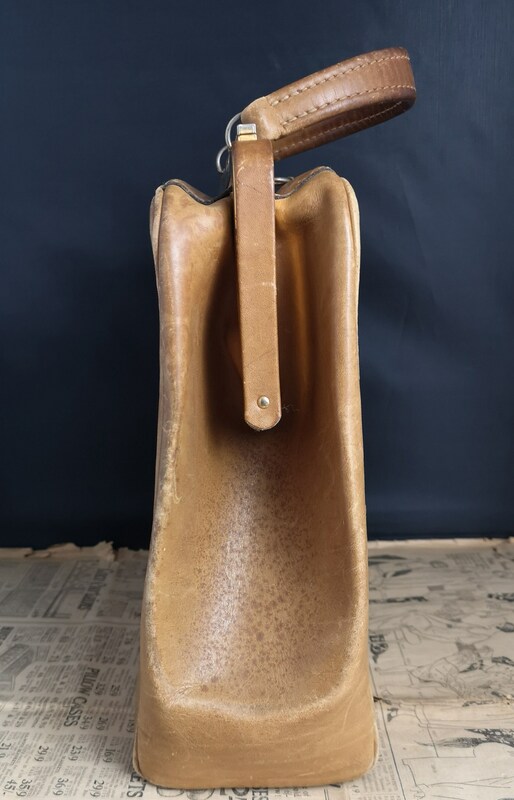 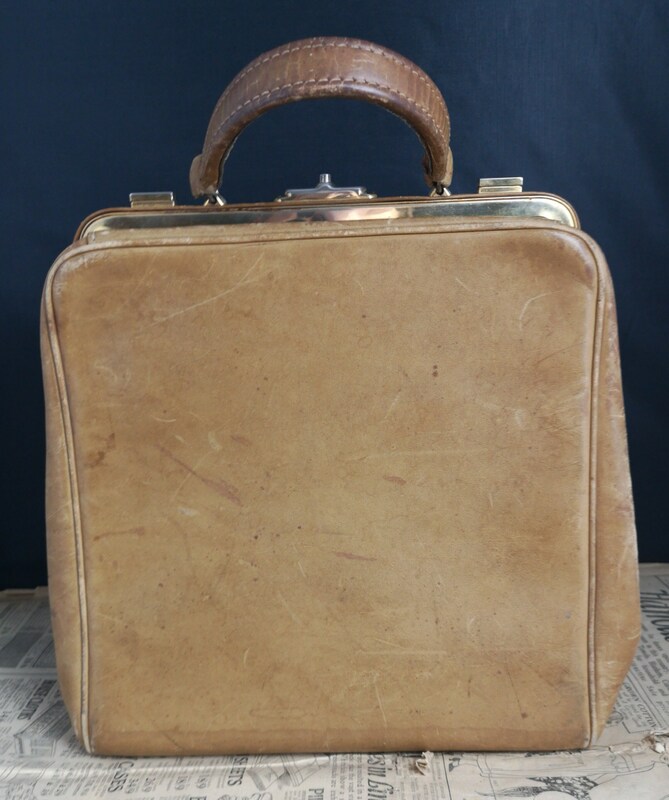 A fab vintage 1950's box style handbag in tan leather with a top handle. 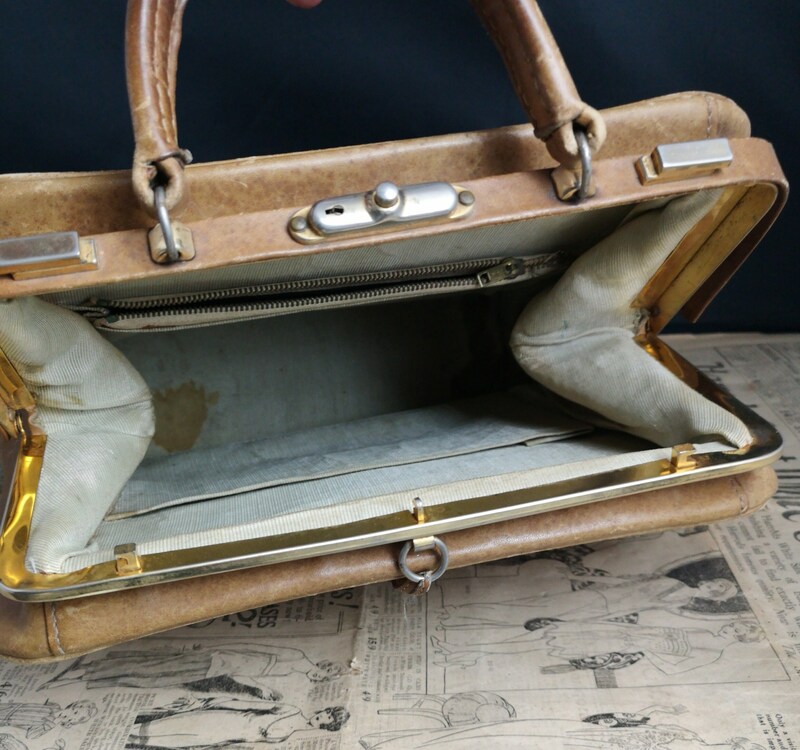 The bag has a boxy elongated shape sort of a mixture between an A frame and a box bag, it has two clasps at the top and also a little lock. 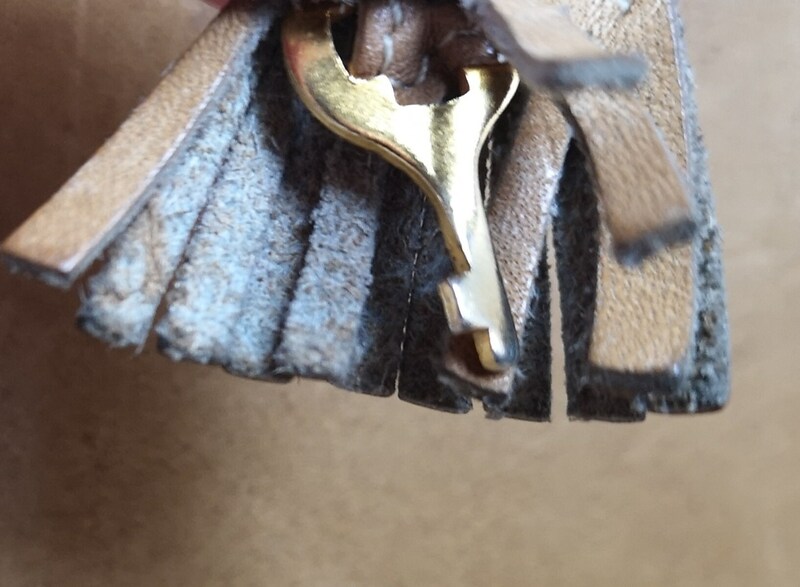 The bag has a tassle design and the key is hidden inside the tassle. 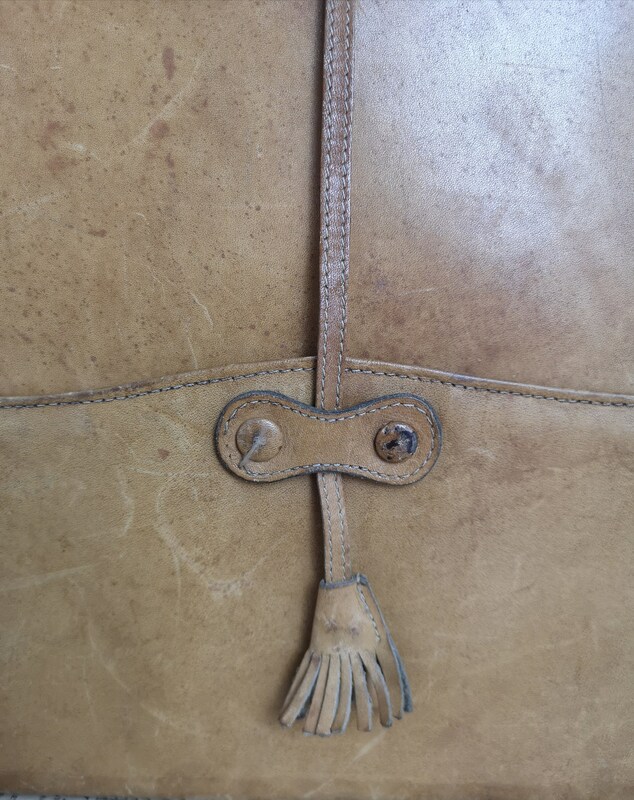 It has a zip compartment inside, a short single top handle and a press stud flap at the front to secure the tassle. 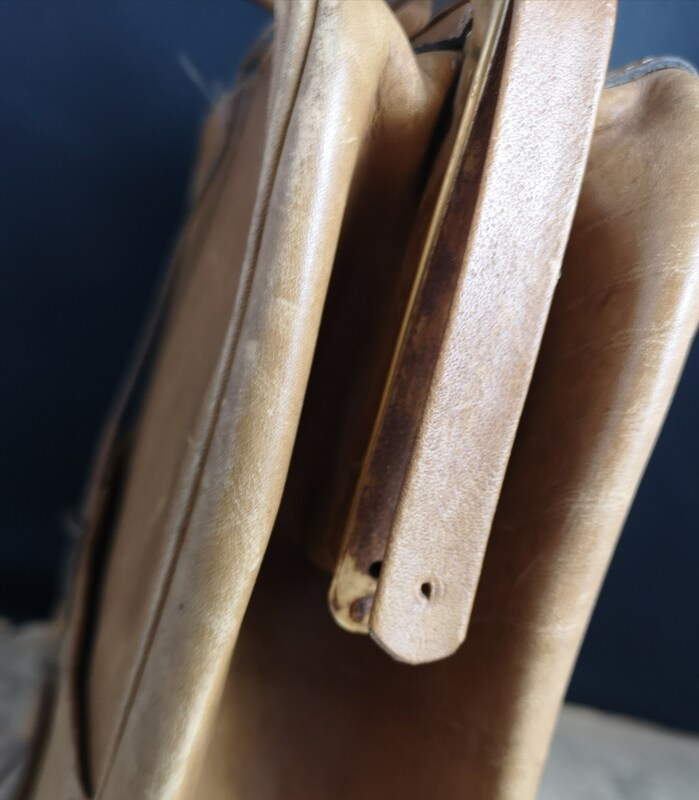 It has a lot of wear to it, there are some scratches on the leather, one of the leather covers has come detached from the frame on one side and there is staining inside, all shown in the photos. 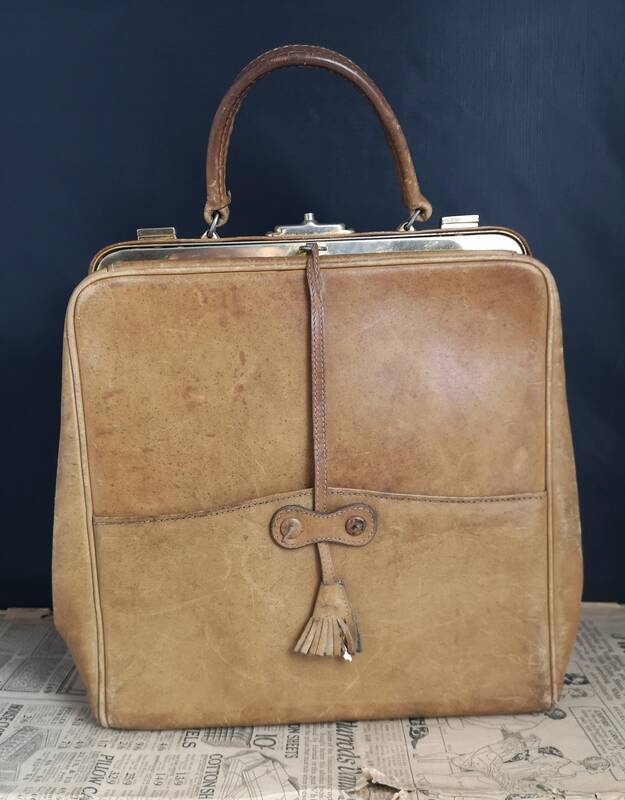 Nonetheless a great vintage handbag that will shine with a bit of TLC.